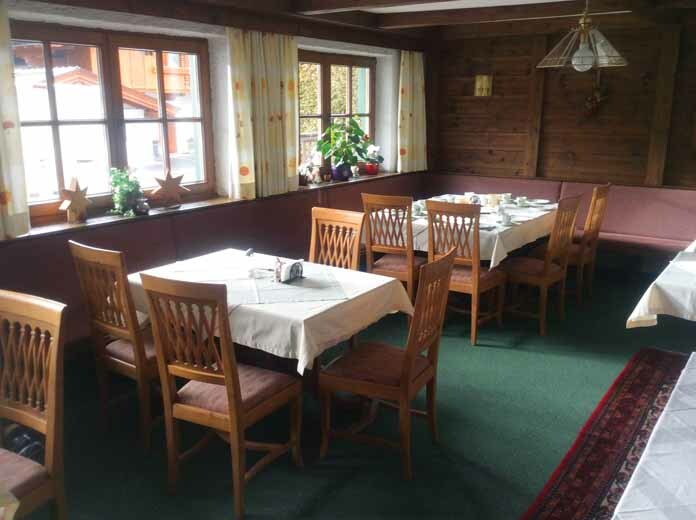 Our view: Rustic style guesthouse conveniently situated close to the centre of Alpbach. All the bedrooms have balconies, are warm and comfortable yet simply furnished and are decorated in a traditional style. If you're after luxury facilities and fine dining, then the Fürstenhof probably isn't for you - but if you prefer a homely, relaxed stay with hosts that not only know your name but also how you like your coffee in the morning then this might be your cup of tea. All rooms have a balcony, satellite TV, hairdryer and free WiFi. Cots are available to hire for €35 per week. Please request at time of booking. Charge is payable locally with hotelier and prices are subject to change. Small twin room with balcony - sleeps 1-2: Austrian twin beds, private shower and WC. Standard twin room with balcony - sleeps 2: Austrian twin beds, private shower and WC. Standard triple room with balcony - sleeps 2-3: Austrian twin beds and extra sofa bed, private shower and WC. These rooms sleep a maximum of 2 adults or 2 adults and 1 child aged up to 12 years. NB: The Pension Fürstenhof has no lift. 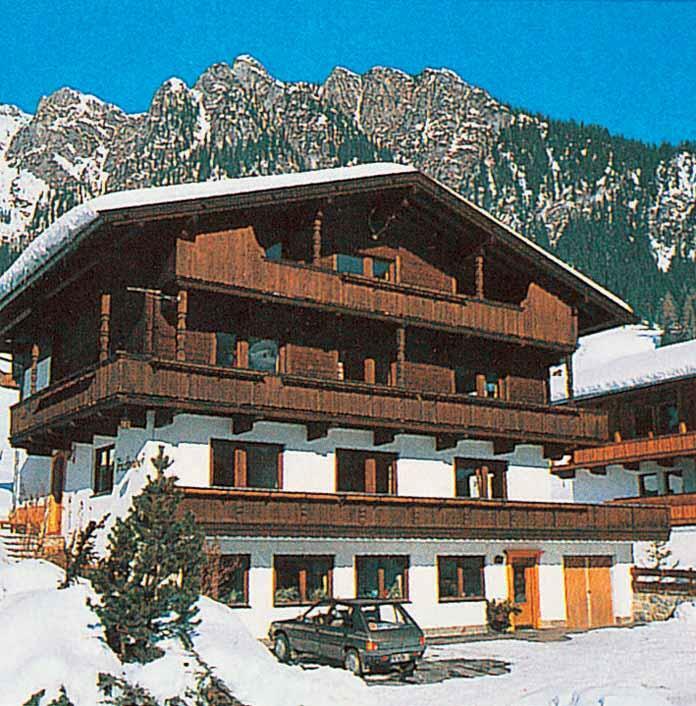 Alpbach is a delightful, family-friendly ski resort less than one hour's drive from Innsbruck airport. A favourite destination of well-informed British skiers and the winner of the “Most Beautiful Village in Austria” contest, Alpbach is famed for traditional style architecture, excellent hospitality. You'll find lots of charm, great scenery, friendly locals, pretty buildings and ambience by the bucketload. Accommodation is mostly hotel- or guesthouse-based, most of which are family-run and very welcoming. The more expensive accommodation is near the slopes and cheaper stuff often means a bit of a trip to get to the lifts. Alpbach offers all the traditional off-snow activities, so skiing isn't the only attraction for visitors. There are loads of old-fashioned eateries up the mountain, but a more limited choice in the resort. Après-ski is subdued and the resort is all ready for bed by 11pm. Only 23% of visitors are British and they come for the skiing as well as ambience. The slopes offer intermediates and beginners the best choice, making Alpbach an ideal family venue. Ski school and childcare are of a high standard. There is some powder for experts, but this relies on decent snow, something that isn't guaranteed in Alpbach. There are only 45km of pistes and it might be better to invest in the 'Kitzbueheler Alpen' Pass for greater variety (700km of pistes). You might want to give cross-country a try, as there are plenty of trails to cover. Boarders have much to amuse them, with a fun park and two half-pipes. Alpbach also features as a regular host for international events. Queues aren't a problem, so you can really enjoy the real Tyrolean experience without the scrums.